One way to mourn the lives lost at a New Zealand mosque and the terrible global cost of White Supremacy is to deepen understanding and connections among our Muslim and Christian neighbors. Mishkan Shalom is honored to co-sponsor this special event. Members of Mishkan (and our interfaith friends) are warmly invited to a free screening of the award-wining documentary, Out of Cordoba, about a little-known era of centuries of peaceful coexistence among Muslims, Jews and Christians in Medieval Europe. The film will air on Sunday, April 14th from 4:00 - 6:00 PM at Bryn Mawr Presbyterian Church. Please sign up for free tickets via this link and forward this invitation to anyone you think might like to join us. Jacob Bender, the film’s director, is a member of Mishkan Shalom who serves as executive director of the Council on American-Islamic Relations of Pennsylvania. After the 1 hour 20 minute film, Bender will share his insights on the relevance of his 2009 documentary to today, followed by Q & A and refreshments. The film features Averroes and Maimonides, two wise men from the 10th century, as the inspiration to overcome today's challenges between cultures and religions, the so-called "clash of civilizations." The documentary may well inspire our efforts to cultivate interfaith tolerance & efforts toward peace in the world today. 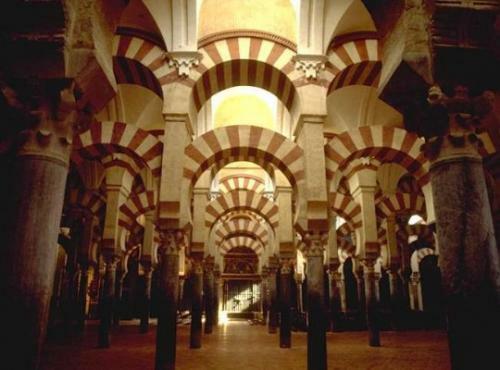 Appearing in the film are: Jacob Bender and Maria Rosa Menocal (late author of Ornament of the World: How Muslims, Jews and Christians Created a Culture of Tolerance in Medieval Spain), among many others. The documentary was filmed at locations including New York; Cordoba, Sevilla and Malaga (Spain); Venice; Paris; Cairo; Rabat, Marrakech and Fez (Morocco); Jerusalem; and Palestine. Mishkan member Jessie Diamond organized this screening in partnership with friends she's met through the Sisterhood of Salaam Shalom, which develops friendships between Muslim and Jewish women, and her interfaith book group the Daughters of Abraham, for Jewish, Christian and Muslim women (one of whom is a clergy member and our host at Bryn Mawr Presbyterian Church).